… but we may have moved this page, renamed it, or deleted it all together and forgot to update the links on our site or other sites that link to this page. Although …while you are here. We can use this time to educate you on the importance of this type of page for your own site. 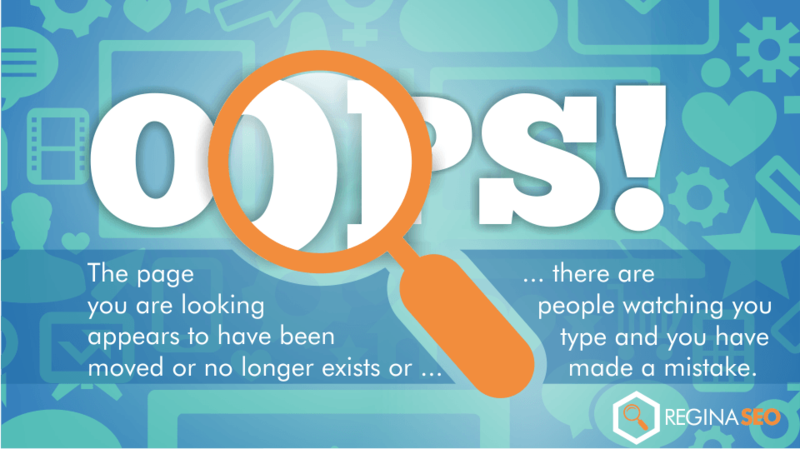 Does your website have “Page Not Found” or “404 Error” Page? Although it doesn’t look good for your site to have a missing page. This type of 404 Error Page helps a frustrated user know that the page may have been moved, renamed or no longer exists. It also informs them that they didn’t type something wrong, or that their computer doesn’t have an issue or their internet hasn’t crashed. Ideally you would fix the navigation and links on your site so that these things don’t happen. A useful free tool to use is a Broken Link Checker. However, having this type of page on your site will help. This type of page should also provide some options to the user as well.